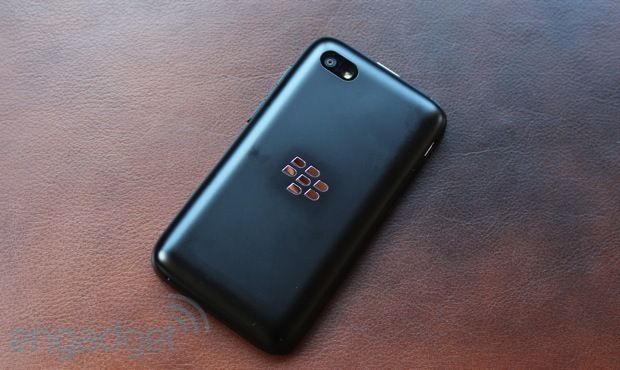 BlackBerry has resurrected the Curve range with a decent mid-range device. It’s just a shame the designers scrimped on the keyboard. How would you rate the Q5? Despite being part of BlackBerry's "Q" range of handsets, the Q5 bears little resemblance to the Q10 it's meant to sit beside. 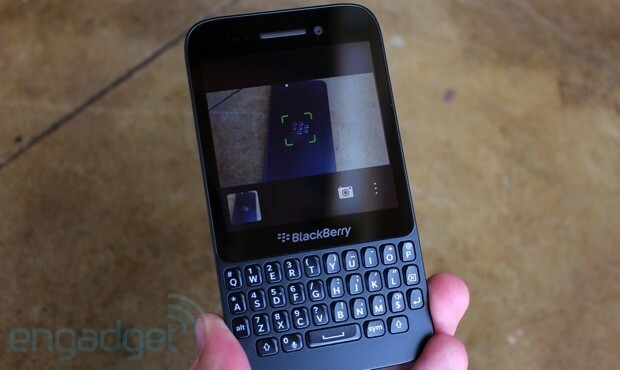 While the layout and button placement are the same, this really doesn't feel like a BlackBerry handset at all. On paper, the phone has nearly identical dimensions to its bigger brother, being only 0.8mm narrower and 0.45mm thicker. But in reality that difference is palpable. Despite being designed as an upgrade to the mid-range Curve models in the company's product range, the Q5 feels rounded, hefty compared to the Curve 9320. Diehards will be surprised to see that the company has ditched the removable battery and glass-weave backing, opting instead for a matte plastic chassis. Users will now have to access the micro-SIM and microSD card slots via a flap that runs down the left-hand side, next to the micro-USB port. 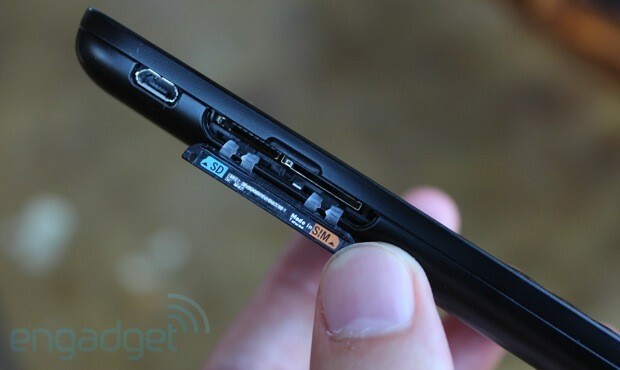 Up top, you've got a 3.5mm headphone jack nestled next to the display / power button. On the right is the three-way volume / mute rocker, which also doubles as the voice control and camera shutter switches. Meanwhile, the speaker runs along the bottom lip. 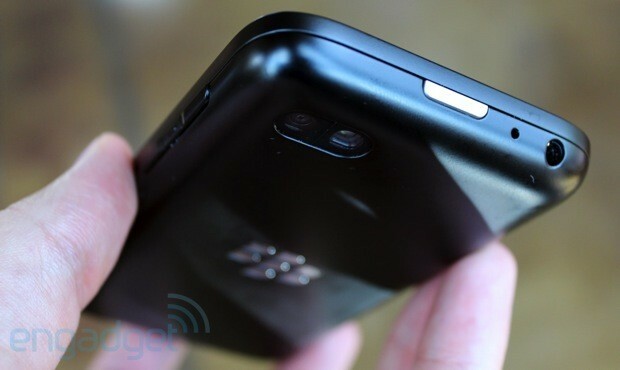 The BlackBerry logo sits between the 3.1-inch, 720 x 720 display and the island-style keyboard, saved from jostling for space with the speaker, 2-megapixel front-facing camera and LED light at the top of the unit. The square display means that consuming video content is a choice between heavy letter boxing or blowing the picture up and panning-and-scanning (with your finger) like the VHS tapes of yore. Flip the phone over and you'll see a plain back dominated by the "seven flying D's" symbol, set between the camera / LED flash and the removable FCC sticker. Internals-wise, the Q5 is packing 8GB of storage, of which 4.3GB is usable out of the box, so we'd suggest grabbing a microSD card (up to 64GB) if you're planning to use this as your primary media player. Now we come to the keyboard, without doubt the single most important feature this phone has to offer. Our fingers may have lost their strength thanks to the softening effect of touchscreen devices, but we were excited to spend some time using a physical input device we could feel. Unfortunately, it looks as if this feature was the one where the company was most eager to differentiate the Q5 from its higher-priced sibling. Swap out "Bold" for "Q10" and "Curve" for "Q5" and you've got exactly the same setup here. Back in the day, BlackBerry's top-end Bold line had a sumptuous, confluent keyboard, while the budget range of Curve handsets had an island-style QWERTY layout that was nowhere near as comfortable to use. Swap out "Bold" for "Q10" and "Curve" for "Q5" and you've got exactly the same setup here. The membrane beneath the unit is sufficiently weak that when pushing down the F key, the G and R keys move along in sympathy. Now, while this problem doesn't create any accidental entries, these little flaws don't fill you with confidence in the hardware. In fact, we can only imagine how bad the materials will deteriorate at the tail end of a two-year deal. Furthermore, as the keys are nearly flush with the chassis, there's a limited amount of travel, but what little there is feels mushy and imprecise despite a mechanical click that lets you know you've landed. We should add, however, that we did put the Q5 in the hands of a BBM-addicted tween, who felt that the phone's keyboard was an improvement over the 9320, but they were the only one in our usual sample group who expressed anything other than annoyance at the keyboard's build. This may be a little redundant in the modern age, but the tweaked fonts and subtler keying means that the numerical keypad (which sits inside the keys) has become very easy to miss. We're not sure if we'd like to see a return to the two-tone stylings of the Curve 8520, or the differently colored letters of the Bold 9650, but it does feel as if we're not expected to make any phone calls at all with this device. We'll admit, it's been a very long time since we fixed our eyes on a 3.1-inch IPS LCD display for any meaningful period of time. Sadly, it's hard not to feel as if this is a regressive step, even if we can understand that it is the only way to accommodate the keyboard without adopting a slider mechanism. Unfortunately, the trade-off here is that everything's a little too cramped, with a claustrophobic environment that means even if you kick the font size down to 5pt, you'll only be able to see four or five emails per screen -- not to mention only being able to see one Facebook post at a time. On the upside, the Q5 at least makes the best of its 720 x 720 screen, with a pixel density of 329 ppi to prove it's not the size, but the quality that counts. One thing we can't fault this phone for is the strength of its backlighting, which made things clearly readable in the harsh noonday sun even at half power. Then there are the strong viewing angles and the better color temperature compared to the Q10, so while we were wary of watching movies on this thing, it turned out to be a rather enjoyable experience nonetheless. The Q5 comes with a 5-megapixel primary camera with a four-element, f/2.4 lens, plus 1080p video capture and the Scalado-powered Time Shift feature to help you correct errors in group photography. Before we talk specifics, however, it's worth mentioning two quirks in BB10's camera software that may blindside new users. First up, rather than tapping to focus, you've gotta drag around the targeting reticule in order to focus your images before pressing the screen (or the volume down button) to take the snap. Secondly, users can choose one of three aspect ratios for their images -- 1:1 is a square picture, which is equal to the Q5's screen with a relatively narrow focus. The 4:3 option crops off the lower quarter of the image and zooms out a little further, and 16:9, which heavily letterboxes the image, zooms out a fair way to give you a far greater depth of field. The camera app is surprisingly powerful compared to Windows Phone and iOS 6, which will make you miss the absent first-party Instagram client that little bit less. There's a choice of creative photo filters, which you can add after the fact, adding sepia tinges -- there's even a high-contrast Whiteboard mode to preserve your dry-erase marker scrawls in preparation for next week's TPS report. Styles offer users the ability to add creative borders to their images and there's also a good set of editing tools including cropping, rotation, red-eye reduction and flipping. As the Q5 ships with BB 10.1, you have the ability to take HDR images, although it's important to keep the handset perfectly still when taking them, as it was pretty easy to create ghosted images if you're not careful. On the downside, there's no macro or panorama mode, which disappoints anyone who is looking to use this as a device that'll capture those special moments no matter the circumstance. The Q5's 5-megapixel camera is one of the better shooters we've tested over the last few months. On a bright summer's day, images come out with very little noise, along with plenty of detail and strong colors. However, while wandering around on an overcast afternoon, we found the grey skies tended to wash out colors. The HDR mode is similarly so-so, with strong daylight shots coming out really well, though, as we mentioned, be advised how still you have to stand, as even the slightest movement creates ghosting. Meanwhile, shots taken in weaker light are probably destined for your desktop's trash bin. 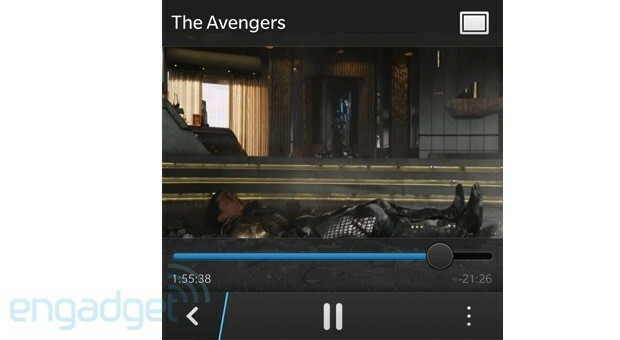 On the video front, users have a choice of recording clips at 720p or 1080p with an additional stabilization mode. When using this latter mode, we found that every now and again, the video would kick in odd ways as it tried to compensate for a dropped frame. As you can see in our sample footage, it's very much a fair-weather camera, producing serviceable clips with strong sound, but only when conditions are in its favor. Compare the daylight tromp to the journey in the tube and you'll see it struggled to maintain focus and produced grainy, blurred footage when indoors. We won't cover the same ground here as in our BlackBerry 10 review, but we can talk about what this OS is like to use on a daily basis. The handset is running version 10.1, same as was found on the Q10, which provided a number of minor tweaks including downloading email attachments, pin-to-pin messaging in BBM, pasting numbers into the dialer and HDR photography. Once you've gotten used to the gesture-based navigation system (up to return to the home screen, down for settings, left for your emails), getting around the device is pretty easy. In addition, thanks to its bigger bezel, it's actually easier to make the swipes compared to its comparatively cluttered bigger brother. 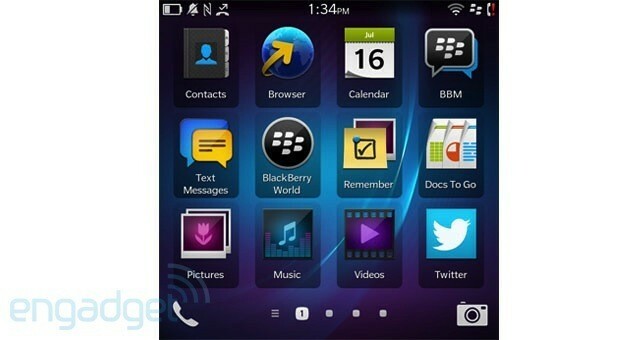 BlackBerry has also seen fit to add native Twitter, Facebook, Foursquare and LinkedIn apps to the home screen, as well as Box.net, Dropbox and Adobe Reader support for power users. On the downside, there's no native YouTube app; just a shortcut to the browser. The only other big differentiation point between BB10 and other operating systems is the hub -- the company's one-stop shop for your email, Twitter and everything else. If we're honest, we didn't enjoy using the hub, primarily because we prefer having our social feeds and our emails not intertwined as one, but we're sure plenty of business users will disagree with us. Like its bigger brothers, the Q5 comes with LTE bands 2, 4, 5 and 17 as well as HSPA+ and GSM/GPRS/EDGE, alongside its GPS, accelerometer, magnetometer, gyroscope and proximity sensors. Out here in the sticks, we weren't able to test the handset's LTE performance, but we found speeds were comparable to using other devices on Three UK's HSPA+ network. If you still use your phone to make calls, you'll find it adequate to the task, albeit with more distortion, clicks and compression than we're used to thanks to the coddling clarity of HD Voice. Given that the Z10 and Q10 both suffered from slow boot-up times, we shouldn't be surprised to see an equally pedestrian situation here. The phone took one minute and 22 seconds to launch from cold and a further 30 seconds to completely shut down. Long story short is that you'll be turning this thing off well in advance of when the pilot asks you to shut off all electronic devices before takeoff, and you'll be the last one to receive calls when you disembark. In our standard video rundown test, with the display set at 50 percent and WiFi on, the Q5 was able to last an impressive 12 hours and 34 minutes. We're big fans of gadgets with long battery lives, so this gets a big tick from us, even if we must attribute such longevity to the phone's undemanding 720 x 720 display. In the hands of a compulsive Twitter and email user like your humble narrator, we were able to abuse this handset for a full working day before resorting to a re-juice. We guess there are three groups of people eyeing this as their next purchase. First up, if you're in the market for a BlackBerry 10 device, then you've got the choice of the Z10, the Q10 and... that's it. While there's a distinctly Z5-shaped hole in the company's product lineup, there's no way to tell if we'll see a low-end, full-size touchscreen coming out, or if it's just wishful thinking on our part. Naturally, we've reviewed both devices and the only meaningful difference between the two is if you prefer a physical keyboard or not. On the other hand, QWERTY devotees looking for any handset might prefer to consider examples like Motorola's Droid 4 ($400), the Galaxy S Relay 4G ($300), NEC Terrain ($430) or, if money's tight, Nokia's Asha 210 ($80). Finally, if you're just looking for something priced in the sub-$500 range, you could snag an iPhone 4 ($450) or Galaxy S III ($430) for a similar price. The BlackBerry Q5 isn't a bad handset, but it carries the weight of disappointment when you realize that it's not just a stripped-down Q10. Had it been, we'd probably be far more appreciative of the hardware, but as it stands we have two objections we simply can't get past. First things first, the price. We've labored this point already, but it's worth repeating that unless you specifically want a phone with a physical keyboard, for the same sort of money you can pick up a 2011 / 2012 flagship that'll pack more of a punch. Stick the Q5 beside a Galaxy S III and you can imagine who will come off the victor nine times out of 10. Then there's the issue of the keyboard itself, which is terrible. Remember that having a physical keyboard and BlackBerry 10 at a mid-range price is the entire point of the Q5's existence, so why hobble it with a bad one? 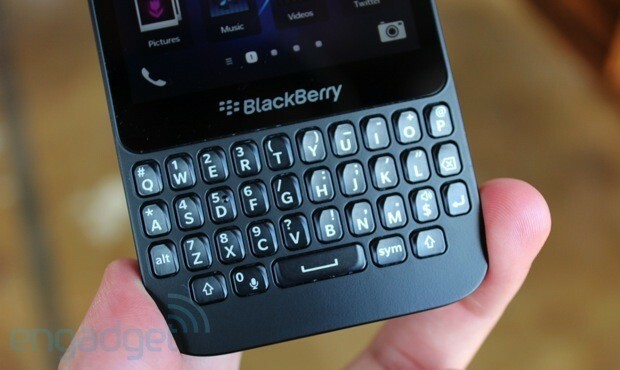 We have a sneaking belief that some executive, worried that using the company's premium keyboard would eat the Q10's lunch, insisted on resurrecting the island-style keys that plagued the Curve series. It's corporate cynicism of that caliber that means we're struggling to recommend the Q5 as your next smartphone.